Overseas Shipping Options for Travelers Seeking Personal Transportation While Visiting The Democratic Republic of the Congo. A1 Overseas International ships to The Democratic Republic of the Congo! Call 1-800-450-5319 or fill out our form for a FREE quote and more info! If you plan on having an extended stay in The Democratic Republic of the Congo, life will be much easier if you have access to your own wheels. Consider hiring A1 Overseas International, an International auto transport organization, handle all of your auto shipping needs for a lower cost than you would expect. Now that you know importing or exporting a personal vehicle is a real possibility, you will need to understand a few important details. Things can go downhill at almost any point during the shipping process. 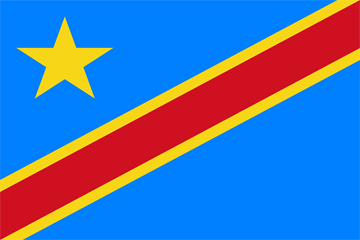 To reduce the odds of coming face to face with common obstacles, you will want to be aware of the rules and regulations enforced by customs officials and how you will need to prepare your automobile for overseas transportation to The Democratic Republic of the Congo. A1 Overseas International will give you detailed instructions on how to prepare for the journey, but a few things to take note of include. Check your automobile for leaks. Top off all fluids and check the tire pressure. Take note of all the essential pieces of paper you will need to provide customs with. Document all existing damages to the vehicle by taking video footage and photographs. To avoid theft, make sure that your vehicle is locked, but disarm the alarm system if your vehicle is equip with one. Unless you will be utilizing a container, remove all personal items from your car and ship them separately. A few days prior to the date of departure, make sure that your gas reading is no higher than 3/4 of the way full. Call 1-800-450-5319 or fill out our form for a FREE price quote on boat, motorcycle, car shipping and other auto transport!